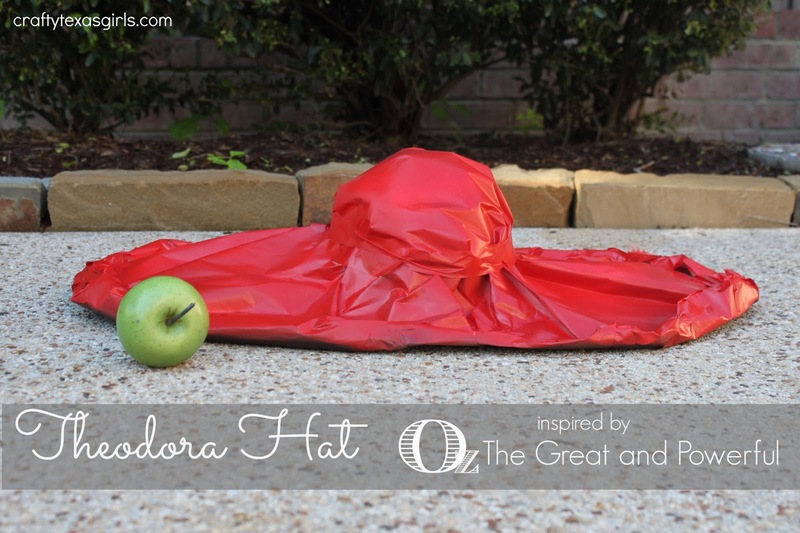 Crafty Texas Girls: Kids Craft: Theodora Hat inspired by "Oz the Great and Powerful"
Kids Craft: Theodora Hat inspired by "Oz the Great and Powerful"
This a sponsored post. I was compensated for my time. All opinions and craft ideas are my own! Let's take an adventure to OZ! I was recently chosen to review the movie "Oz the Great & Powerful". After watching the movie with my daughters (four times, because they loved it!) 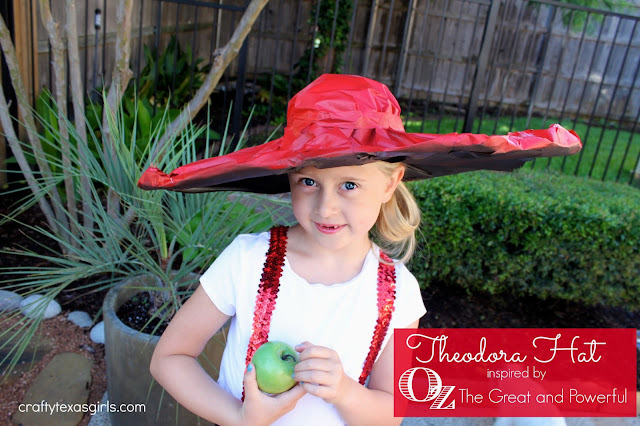 I was inspired to create something that would bring a little of the magic of OZ into our life. My seven year old was fascinated with the twists and turns of the movie. (If you haven't seen it, don't worry- I won't spoil it!) But, her favorite character (and mine!) was Theodora. She is beautiful, magical, and conflicted. 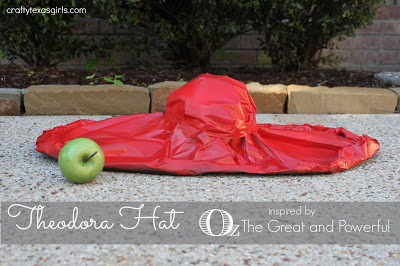 And one of the main things that stands out about Theodora is that hat. In my house, accessories are very important :) So I created a simple way for kids to craft their own "Theodora Inspired" hat. This is the perfect craft for the girl who wants to dress up like Theodora. I cut three long piece of butcher paper from my daughter's art easel paper. Then I placed them on her head and molded the paper around her head. Next I taped around the crown of her head with tape. Then I rolled the edges up and taped those down. Depending on the age of your "Theodora"- she can help too. 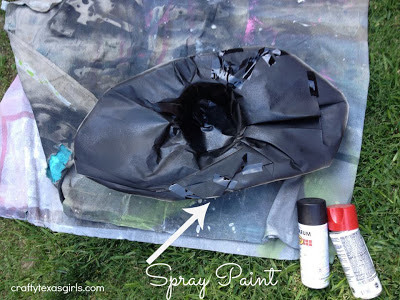 Finally we spray painted. The inside of the hat is black and the outside is red. When it was dry, we added some red glitter. My daughter put on the hat and immediately took on the personality of the "Theodora" character. 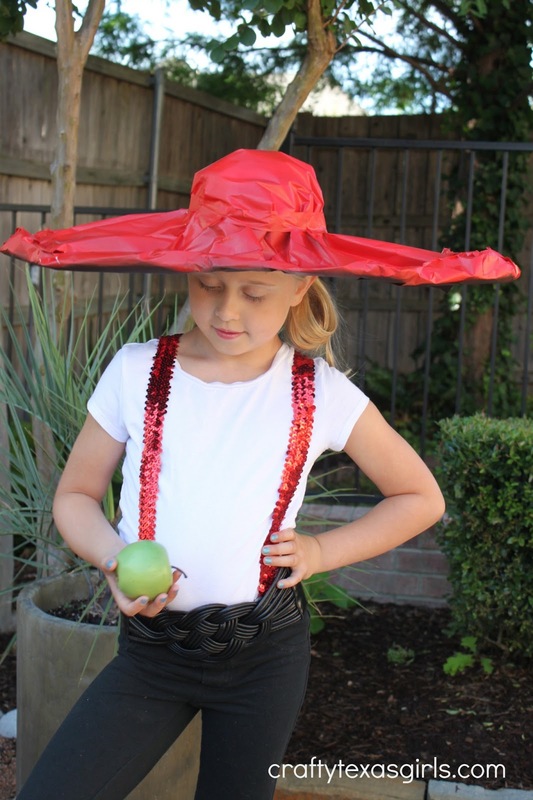 She felt like she was ready for an adventure in OZ! 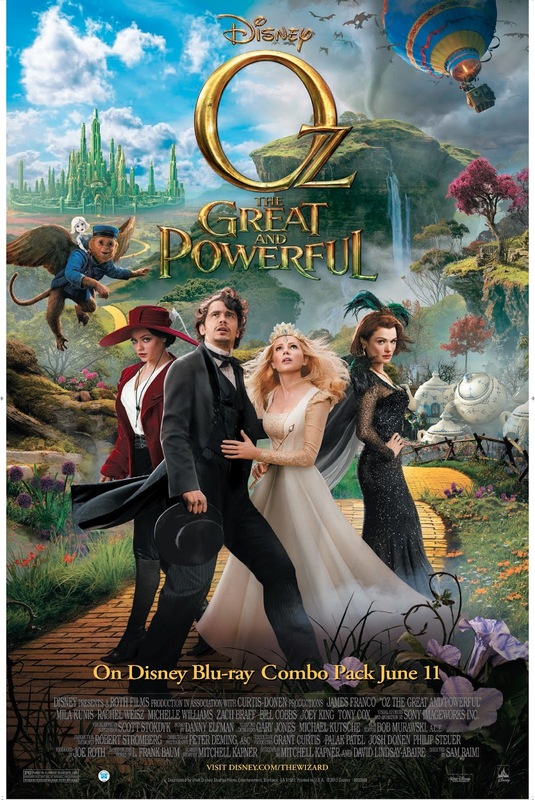 Disney's Oz the Great & Powerful comes out on Blu-Ray Combo Pack on Tuesday, June 11th. You can find out more information about the movie and where to purchase it here. This is so adorable! 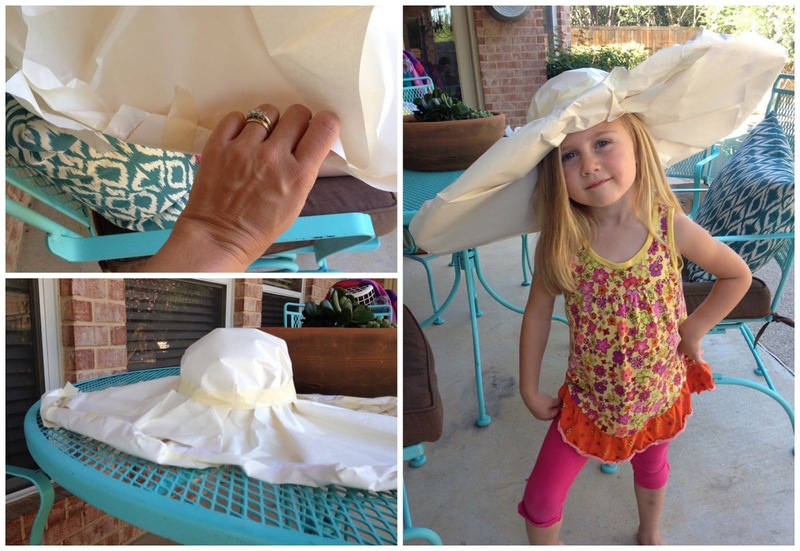 I had no idea you could make a hat that looks this great with such a simple technique! We'll definitely be adding this to our summer bucket list!